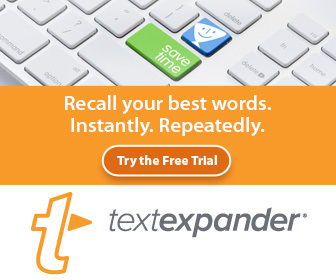 TextExpander ​is a word processing program that automatically expands words, phrases, or larger snippets of text based on abbreviated text you assign to a snippet of text. For example, when I want type the word, “Hazel,”, I simply type “hz” and it will replace those two letters with the word. You can create abbreviations for form letters, URL addresses, email signatures, etc. TextExpander also can correct common misspelled words, or you can add words you frequently misspell and have TextExpander correct them for you.